Swedish electronic pop band Little Dragon are currently in NYC, having just played twice last night (2/13), first they DJ’d for the Painted Black series at Irving Plaza, and then played an actual set at 2:30am to a crowd dressed in black tie at The Box for the swanky venue’s 7th anniversary party hosted by Belvedere Vodka. The band are hanging around to DJ again this Saturday (2/15) at Up and Down NYC (244 W 14th St, aka the space that used to be The Darby). 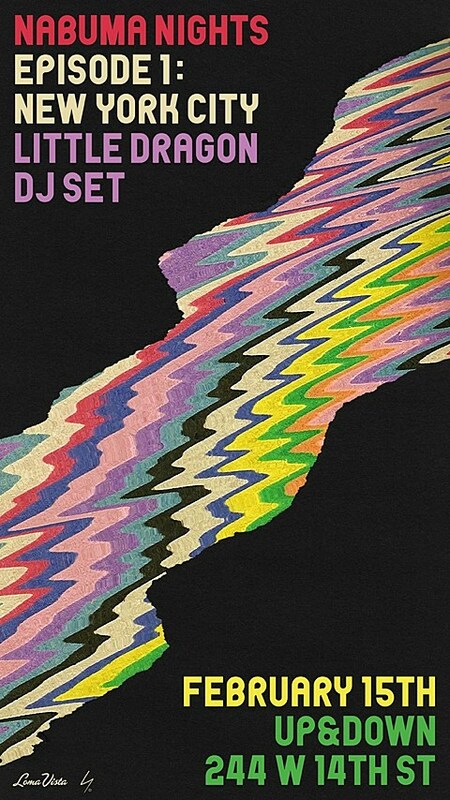 That goes from 10 PM to 4 AM with Little Dragon and True Panther Sound System both DJing. Flyer below. As mentioned, they’ll also perform on Letterman on 2/19. 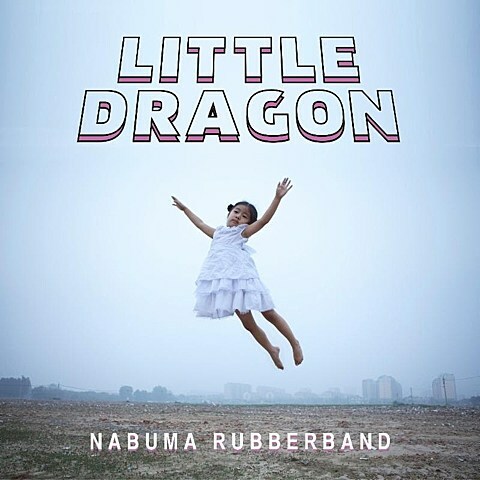 Saturday’s DJ night is the first in a series of DJ nights Little Dragon is doing internationally called ‘Nabuma Nights’ in support of their new LP, Nabuma Rubberband. That album comes out on May 13 in the US via Loma Vista and a day earlier in the UK via Because Music. The album’s first single is the appropriately titled “Klapp Klapp,” which the band played live at the Box and plans to make two music videos for. The first of those videos, directed by Taylor Cohen and creative directed by big-name director Nabil (Kanye, Frank Ocean, Bon Iver), is out now and can be watched below. Nabil also directed the second one, which is coming soon. That’s the album art above, and the tracklist is below as well.